We may find ourselves in a new calendar year, with new goals and new aspirations, but some things stay the same. One of those things is definitely our love and appreciation of technology, and furthermore, our love of actually getting that technology for less than retail price. 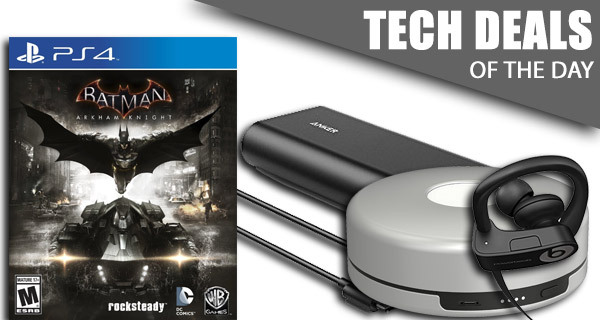 As always, our daily technology deals ensure that you get what you need, for very less. 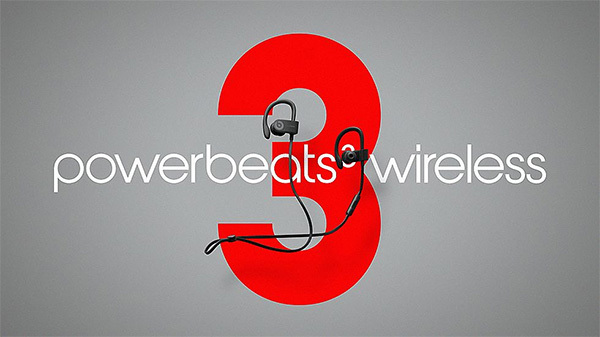 Today we are looking at the recently launched Powerbeats3 Wireless earbuds that come packing with Apple W1 chip found in AirPods at a discounted price. 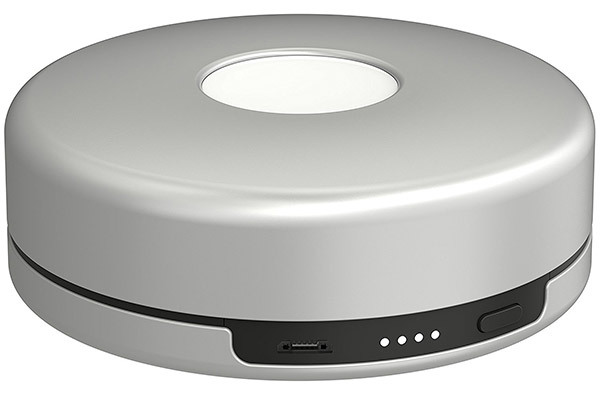 Next up we have is a portable charger for the Apple Watch should you ever find yourself in a position where you need to charge the wearable on the go. 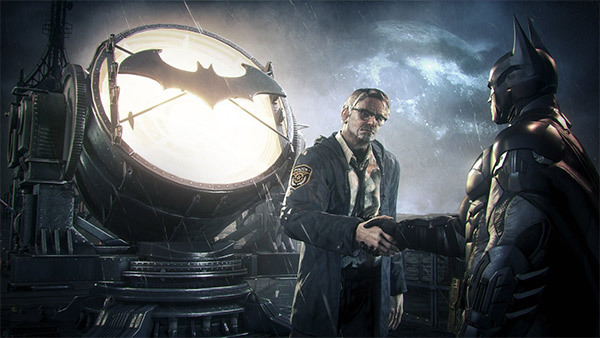 This is followed by the Batman: Arkham Knight digital download code for both the PS4 and Xbox One for just $19.99. 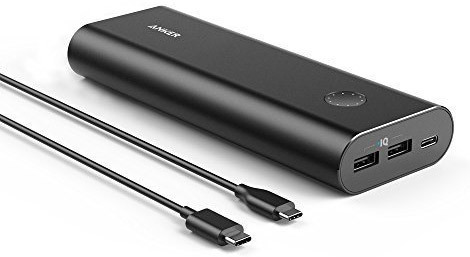 Last but not the least is the Anker PowerCore+ portable battery power bank featuring USB-C port for just $59. As always, the time is short, and the stock is limited. Once you have the product of your choice narrowed down in your sights, make sure you act as quickly as possible before the offers listed here expire. So what are you waiting for? Enjoy the savings! You only need to look at these gorgeous earphones to know that that they would be a worthwhile addition to your musical arsenal. And that’s before you even consider that they come with the quality of manufacturing offered by Apple and Beats, and come powered with the stunning W1 chipset from AirPods that offers instant and seamless connection to Apple’s devices with long battery life and range. They offer up to 12-hours of battery life, deliver high-quality audio and offer excellent service during workouts with sweat resistance. This isn’t just a standard Batman game. This is Batman: Arkham Knight with the exclusive Scarecrow Nightmare Pack featuring the terrifying Scarecrow’s toxin. If that’s not enough, then there’s also stunning graphics and an experience that goes back to Batman’s dark roots, as well as the inclusion of the Batmobile which sits at the very heart of everything that Batman: Arkham Knight is about. You also get this as a download code so you can get playing instantly without having to wait for physical delivery. We’ve seen portable power banks for mobile devices like Apple’s iPhone and iPad, but what about a similar product for Apple’s smartwatch? The Apple Watch runs on a battery, which means it can run out of charge at the most awkward times, and is therefore most definitely in need of a portable power bank. Step forward Nomad’s Pod with an integrated 1,800mAh battery to solve that exact problem. If you don’t have an Apple Watch, and therefore have no need for the power bank above, but do have a mobile smartphone or tablet, then the Anker PowerCore+ is one of the most respected products you can purchase in this category. It’s streamlined, packs in a whopping 20,100mAh battery, and even offers PowerIQ and VoltageBoost that makes it capable of charging even Apple’s 12-inch MacBook or the new 2016 MacBook Pro thanks to optional USB-C port alongside the regular USB-A ports. uh my watch lasts all day and then some…. waste of money.